Recently, I won a 12-week Late Harvest CSA membership at Angelic Organics through one of my favorite wellness apps, Mango Health. I was asked to guest blog about my experience with the CSA and included this recipe in my post. 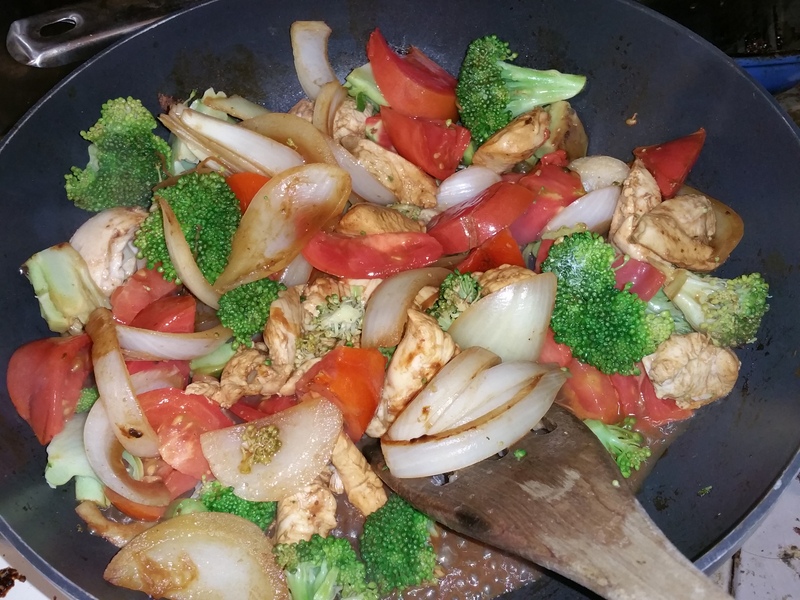 This is one of my go-to weeknight meals, and I was so excited to use all organic, locally grown veggies. The tomatoes are so red throughout that they look like candy, and they taste almost as sweet! Organic Veggies waiting for the stir fry. 1. Prepare the sauce by combining the hoisin, ginger, vinegar, and orange zest in a bowl. Whisk together until well mixed. 2. In a large non-stick skillet, heat oil over high heat, then add onion and chicken. After chicken browns, add the tomato, broccoli, and sauce. Stir to combine. 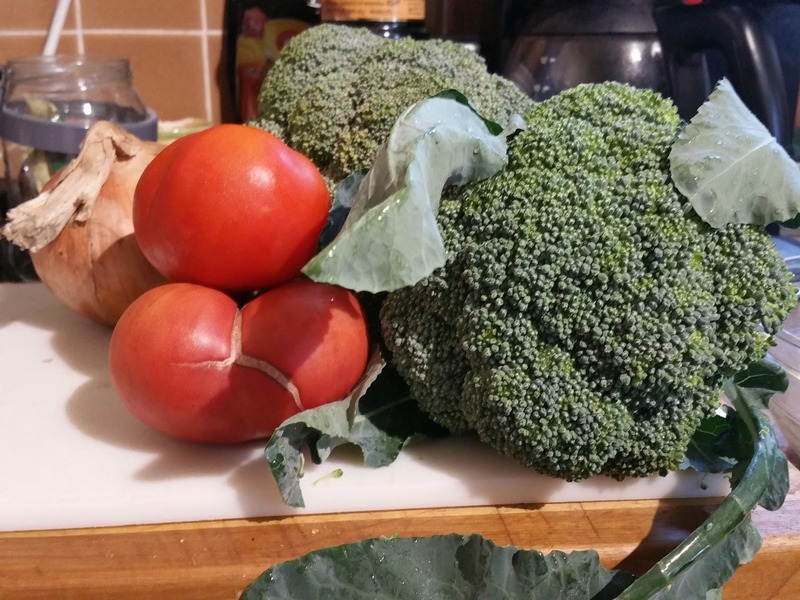 Once the broccoli cooks to your liking, turn off heat. 3. Serves 4 or 5 when served over cooked brown rice.